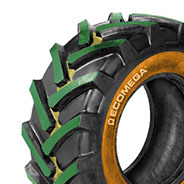 A new generation of industrial tyres for telehanders/backhoe/loader operations. 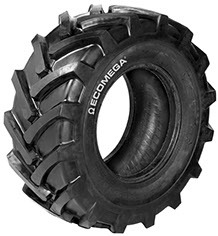 It provides a smooth ride, an excellent traction and extended working-life of these rugged tyres. The R1 type has more lugs for improved puncture resistance and a natural shape construction for a better durability of the carcass. The wide, sturdy, overlapping lugs provide not only great traction, but a self-cleaning action and a long wear. The casing construction is industrial and the shoulder reinforcement guarantees best performances even in the hardest operating conditions as well as the maximum traction in all kinds of farm application.